WASHINGTON -- Native American women are among those being honored on Sunday, and recognized for their healing and defense of the Earth. They are among the 100 notable climate heroes to be honored at the inaugural Atlas Awards at a ceremony October 7 on the National Mall. They will be honored for their leadership in influencing Americans towards more caring and sustainable lives that could ultimately stabilize Earth's climate. Sarah James – is native of the Gwich’in Tribe from Arctic Village, Alaska. 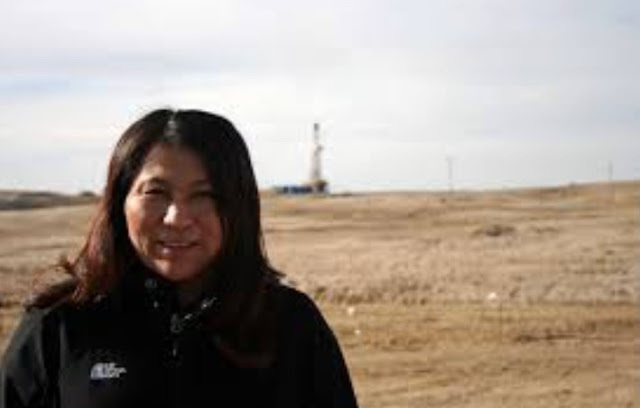 She was awarded the Goldman Environmental prize in 2002 for her work protecting caribou calving and nursery grounds in the Arctic National Refuge (ANWR), from oil and gas drilling. Della Adams - is a leader of the Onandaga Nation, one of the Six Nations of the Haudenosaunee Confederacy, in upstate NY/Canada, on the St Lawrence River. She works closely with tribal medicine people and prescribes ceremonial remedies. Katsi Cook - assisted in the design of the EarthWeek2012 healing ceremony in DC, as a member of the Mohawk Nation, in upstate NY. She is midwife and director of the First Environment Collaborative for reproductive health, and educator on environmental justice issues, lecturing at Cornell University and other similar institutions. Louise McDonald (Tewakierakwa) - is a clan Mother from the Mohawk Nation, one of the Six Nations of the Haudenosaunee Confederacy, in upstate NY/Canada, along the St Lawrence River. She works to preserve indigenous language and culture through conducting earth-based rituals for youth and women on the reservation. Her teachings returns one to an earth-based experience so it can inform a higher level of consciousness to know and practice that 'less is more' by taking only what we need and vigilantly guarding the sacred balance. Buffy Sainte Marie and Joanne Shenandoah are among the Native Americans honored in the Anniversary awards. The summer of 2012 appears headed to be the hottest in recorded U.S. history. Arctic sea ice shrank this year to the lowest levels since record-keeping began. 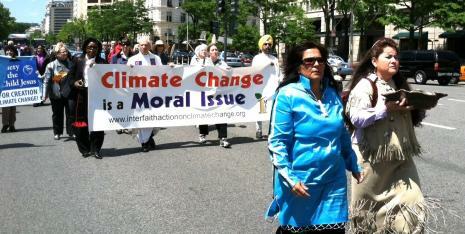 Meanwhile Rio+20 failed to deliver meaningful agreement on a global response to a warming climate. Yet climate activist and strategist, Priscilla Rich, founder of Transition Express Campaign (www.TransitionExpress.vpweb.com), finds hope for humanity in the efforts of dozens of leaders taking meaningful action, helping to put the world on a sustainable path. The Atlas Awards ceremony will feature a keynote address from climate strategist Boyd Cohen, co-author of Climate Capitalism: Capitalism in the Age ofClimate Change. The faith community will also play a major role in the ceremony, including remarks by Patrick Carolan, Executive Director of Franciscan Action Network. “The national faith community is stepping up, to remind us we have a moral imperative to resolve climate change,” explains Rich. Priscilla is collaborating on the Atlas Awards ceremony, with award-winning filmmaker Dave Gardner (www.GrowthBusters.org), whose non-profit film and “Think Small” campaign encourage people to scale back and restore sustainable balance in their lives. Rich and Gardner struggled to limit the awards to 100. They are quick to point out that many others deserve recognition. “This is only year one,” they both agree. The Atlas Awards ceremony is being kept intentionally humble and low-key. According to Gardner the ceremony will have a small carbon footprint. He and Rich know the awardees will appreciate the simplicity of this event. “There will be no generators and no air-conditioning. The entire event will be run on a few small batteries,” explains Gardner. Sylvan Amphitheatre, just south of the Washington Monument, near the NW corner of 15th St. and Independence Ave. SW, 3 blocks west of the Smithsonian Metro, at 12 St. on the Blue/Orange Lines. In the event of rain, we will be on the covered stage. Public Welcome: please bring a picnic lunch and cushion for seating comfort. 1912 - Jay Silverheels is an icon for all of us, representing Native Americans who choose to assimilate into contemporary society, from a culture that reveres the natural world, blending into one that is challenged by its own disregard for the natural world. We honor him and his Native American peers today, because we need to build a stronger partnership together, learning from one another. Jay was born in this year on the Six Nations/Mohawk Reserve, in Ontario Canada. Before his death in 1980 he was most well-known for his portrayal of Tonto, faithful companion to the Lone Ranger, in the long-running TV series, by that name. He also played movie roles with Humphrey Bogart, James Stewart and Maureen O’Hara and other well-known actors. His adopted screen name was the nickname given him as a young man when he played lacrosse, excelling in the sport. 1942 – President Franklin Roosevelt prepared for World War 2, by closing down all US auto plants for three years, starting that year, turning those plants into a manufacturing operation for war supplies. This event is often held up as an example of how the US can unite again, to accomplish what might seem impossible: replacing a carbon-intensive economy with an efficient, low carbon one, emphasizing conservation and renewable energy. 1962 - the year that The Beatles began their remarkable musical careers as a group, bringing us many inspiring songs with nature themes, that we still love today as classics: Here Comes the Sun, Good Day Sunshine, Across the Universe, Rain, Strawberry Fields Forever. Thank you, JohnLennon, Paul McCartney, George Harrison and Ringo Starr, for your lasting inspiration, that keeps bringing us together, helping us imagine living in a more peaceful, loving world. Now, is our time, to make that a reality. Also the year that Rachel Carson's courageous book, Silent Spring, was published. 1972 – was the year that President Nixon returned 21,000 acres to the Yakima Native Americans in WA state, from the Gifford Pinchot National Forest. He referred to this time period as the ‘environmental decade’ when he created the EPA, signing laws including the Clean Air, Clean Water and Marine Mammal Protection Acts – and later the Endangered Species Act. During that time, Congressman Pete McCloskey was writing those laws, and was a co-founder of the original Earth Day, in 1970. 1982 – Buffy Saint-Marie wins an Academy Award for her composition of the song, Up Where We Belong, for the film, An Officer and a Gentleman. She later created her own CD with the same title, in 1996. Buffy was born on the Piapot Cree Indian Reserve in Saskatchewan Canada. She was orphaned and later adopted by relatives, growing up in the Wakefield suburb of Boston. She is held in high regard as educator, activist and founder of the Cradleboard Teaching Project, offering curriculum that is based on better understanding Native Americans. 1992 – the year that co-founder of the Union of Concerned Scientists, Henry Kendall, issued the letter titled, World Scientists Warning to Humanity, on human beings and the natural world being on a collision course, with signatures of 1,700 leading world scientists from 70 countries, including the majority of Nobel laureates in the sciences. This same year, Sherman Alexie receives the National Endowment Award for the Arts Poetry Fellowship, for his prolific work as a poet, his career continuing since then as a novelist and in film. 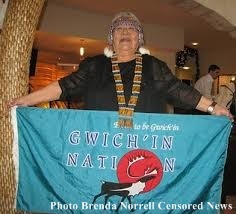 Sherman was born in the Coeur d’Alene Tribe in Spokane WA. 2002 – the year that Grammy award winner Joanne Shenandoah released her CD, titled Peace and Power: the best of Joanne Shenandoah. Her lineage goes back to a forebearer John Shenandoah, who was a compatriot of George Washington, who played a key role in rallying Iroquois to support the rebels during the American Revolution. She is a member of the Wolf Clan of the Oneida Nation, which is part of the Haudenosaunee Six Nations Iroquois Confederacy. She has won over 40 music awards, receiving an honorary doctorate in music from Syracuse University, where she is a boardmember of the new Hiawatha Institute of Indigenous Knowledge, established in 2011. 2007 – that year marks the introduction of a new kind of book, a collection of contemporary issues of modern Native people: American Indian Nations: Yesterday, Today and Tomorrow. It is edited by George Horse Capture, Duane Champagne and Chandler Jackson. George is from the A’aninin Gros Ventre Tribe of Montana and has served as curator of the Plains Indian Museum in Cody, WY; Duane is a member of the Turtle Mountain Band of Chippewa Tribe, of Michigan, and is professor of sociology at UCLA, and Chandler is director of the John Reed Library at Fort Lewis College in Durango, Colorado. This same year was published Peter Matthiessen's book that he edited, Courage for the Earth: Writers, Scientists and Activists celebrate the life and writing of Rachel Carson. He has made it clear that Rachel Carson is still with us today, as we face our challenged future. Meryl Streep sold her Green Guide to National Geographic this same year, which was published the following year, after extensive research was done on it. It is subtitled, The Complete Reference for Consuming Wisely. This same year 12 year old Alec Loorz co-founded Kids vs Global Warming, in Ventura CA. He has since been trained with Al Gore’s Climate Project, after giving over 30 global warming presentations. He is on many advisory committees, including Inconvenient Youth, Youth Sustaining the Earth, the Future We Want, and the United Steelworkers Union. His co-founder is his mom, Victoria Loorz. Sungevity, now offering solar leasing, was founded by Danny Kennedy, Andrew Birch and Alec Guettel, this same year, an excellent business example of affordable solar, that is moving across the US with incentive programs. The Sierra Club recently partnered with Sungevity, to provide these incentive programs. The Sierra Club's Beyond Coal campaign, is one of the country's leading voices in the fight to move the US off dirty, outdated coal. This campaign received in2011, the generous donation of 50 ML dollars from Mayor Michael Bloomberg, of New York City, to support the campaign's mission.